Get it right. Right now. The powerful, Google-like search and a concise, bulleted format make it easy for you to find essential information the moment you need it. You can also mark favorites to share with colleagues, track your history, and decide how you would like to view the content to best fit your needs. Topics cover all radiology specialties and include key information such as differential lists, patient cases, image galleries, and normal imaging anatomy. 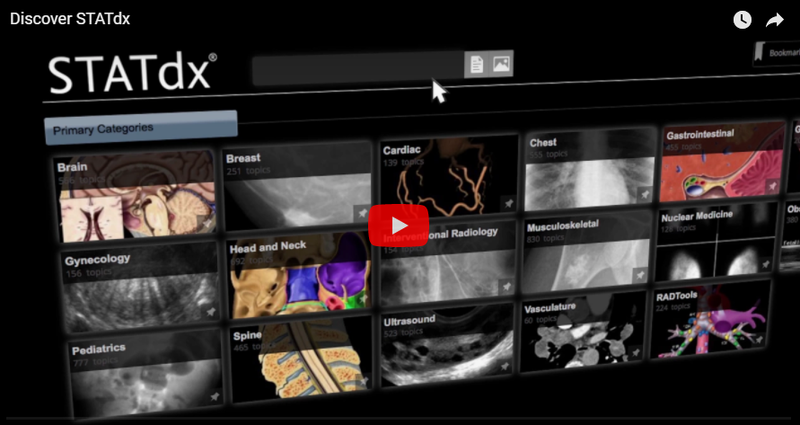 Rely on expert-written diagnosis topics and annotated images. Get the ease of a Google-like search along with expert-written content you can trust. Enter your information below to start your free trial.